We’ve all heard the horror stories of wounded warriors returning home and receiving less than adequate and/or delayed care. Some of the disabled American veterans who need the fastest and highest quality of care are ones, like amputees, who require the use of prosthetic or orthotic devices because of an injury attained while serving our country. 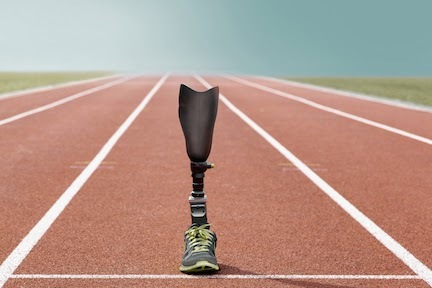 If you require the use of a prosthetic or orthotic device, do you know what your rights are as far as a timetable for receiving care and what type(s) of care you are entitled to? Do you know what type(s) of Orthotic and Prosthetic (O&P) care you should be receiving? You definitely have rights, but may not know it. To fix this lack of education, a bill has been introduced in the House that would make sure that all veterans are aware of their exact rights for receiving orthotic and prosthetic care. This bill, currently before the House Subcommittee on Health Affairs, would officially form the “Injured and Amputee Bill of Rights”, and require the VA to post it in a prominent place in all VA facilities. All of the rights included in this Bill of Rights are already given to all veterans who use orthotic or prosthetic devices, so the rights themselves are nothing new. Unfortunately, however, all too many veterans do not properly receive everything they are entitled to. The hope for this bill is that greater education about these rights will ensure that all veterans who qualify will receive them. Access to the best orthotic and prosthetic care available to meet your specific needs. This means the most appropriate technology and/or best-qualified providers. The right to have your health care seamlessly transitioned from the DoD to the VA when leaving the military. The ability to choose your orthotic or prosthetic care provider, whether at a VA or private facility. The option to receive “consistent and portable” care at any VA facility across the country. Access to timely orthotic and prosthetic care, including fast authorizations. The right to a second opinion about your treatment. The right to have a spare orthotic or prosthetic device. The right to receive help with an honorable transition to civilian life. This means access to housing assistance, vocational rehabilitation, and jobs programs. As we said, the bill that will officially form this Bill of Rights is still in Congress. However, if you require the use of orthotic or prosthetic devices, you already have these rights. You don’t need to wait for this bill to pass to stand up for yourself and make sure that you get the care you are entitled to.